While Apple has seen short lines in front of its retail outlets following the release of the iPhone 8, the seemingly limited interest in the company's newest device might pale in comparison to another issue arising in the Asian market. The Next Web reports that some users have complained of their iPhone 8 devices separating from the screen panel during the charging process. According to media reports from Taiwan and China, the issue might stem from batteries that expand while the phones are charging, causing the handset to bulge and separate. Apple confirmed to Mashable that it's examining the issue, after a customer in Taiwan contacted the company when her iPhone 8 Plus experienced battery swelling. While Apple declined to comment on the specifics regarding both incidents, it's safe to say the expanding battery issue probably isn't that widespread. After all, the images do show a great deal of damage done to the phone, but there's only two known reports of this occurring. 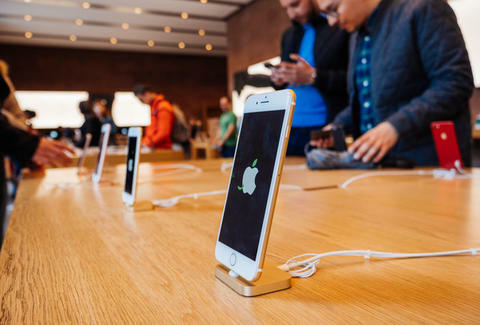 Last year, Apple dealt with a few similar incidents with the iPhone 7, and a series of exploding iPhone 6 devices in China caused a stir that eventually fizzled out. In truth, though, it's more likely that chargers manufactured by third parties are more likely to damage your phone, erupt in flames, or perhaps even cause you physical harm than a brand new iPhone. Still, if you're eager to buy an iPhone 8, it might be wise to wait until Apple releases its much more sophisticated counterpart in the iPhone X. After all, it's expected to blow the iPhone 8 out of the water by basically every metric when it releases for pre-order on October 27.